Congratulations to our Client The Charity Wrap for their feature on Celebuzz! The Charity Wrap Falsa Blankets are an essential staple to the perfect summer! Who said blankets were only for the cold weather??? They are generously sized at 52″W, 72″L and only get better after every wash. 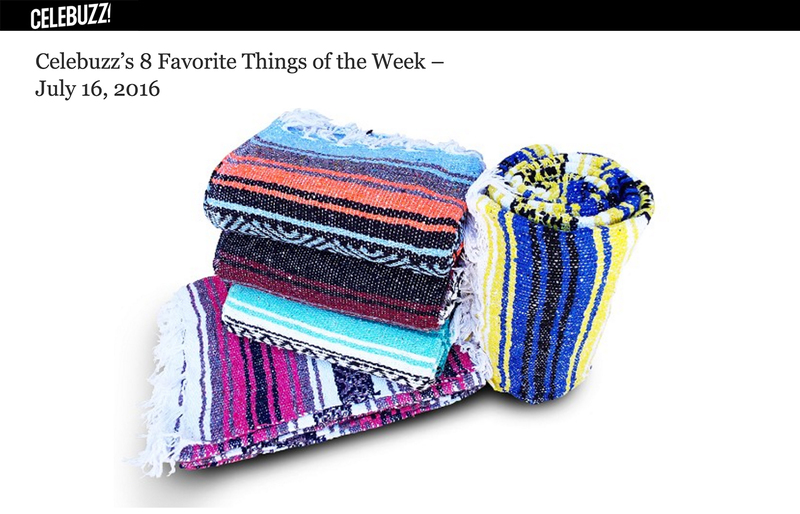 These Falsa Blankets are hand loomed by an ex Artisan worker from El Salvador. With the purchase of any blanket you are helping these Artisans rise above poverty by providing them with a fair wage and a full time job-Here in the U.S. The Charity Wrap will donate 20% of every blanket purchased to one of four national Non-Profit Organizations of your choosing. Check them out at thecharitywrap.com!